While the end of winter can seem like a relief, particularly given the often long and cold winters in Britain, it can also bring discomfort for those who suffer from hay fever. The joy of the outdoors during warmer months can bring painful hay fever symptoms such as bloodshot eyes, a runny nose and itchy throat. Why Is Hay Fever Worse During The Summer? Common allergens include pollen, which unfortunately, tends to be most abundant during the warmer spring and summer months. Many people find that mild winters - where spring comes early - bring with it a barrage of hay fever symptoms and prevent them from enjoying time outside without constant sneezing and facial irritation. Unfortunately, hay fever is extremely common but the fortunate side of this is that there are many treatments to deal with hay fever symptoms and ongoing research is continually active with the aim of developing more effective hay fever treatments. Most people will find that symptoms begin during the spring and peak during the summer before subsiding in the fall months. Short of not going outside during the summer, which simply isn't realistic, there are steps you can take to prevent seasonal hay fever from ruling your day. Pollen counts fluctuate during the day, with early mornings and evenings usually being the time when they peak. If you can focus your outdoor time for the times of the day when pollen counts are lower, you can still enjoy your spring and summer while minimising exposure to pollen. You can also use air conditioning when indoors and keep windows closed; the same is true for driving. In addition, some doctors may recommend that you begin taking hay fever medications prior to the onset of the hay fever season. The goal is to stop symptoms before they start. One of the challenges of hay fever is that each subsequent exposure can cause a stronger allergic response. Thus, minimising exposure and preventing symptoms is particularly important to reduce the chances of complications in the future. Those who suffer from perennial rhinitis, which tends to occur year-round, may actually find that their hay fever subsides somewhat during the fall but then peaks again during the winter months. This may be due to the regular use of heating and a build up of dust, which circulates around the home. 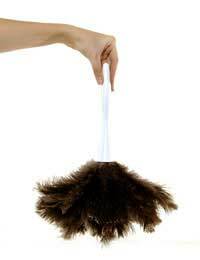 The best solution is to maintain a minimal level of dust in your home through regular vacuuming and dusting. It's also important to vacuum vents and keep window ledges clear of the mould that tends to grow during the damp, winter months. For hay fever sufferers, it can feel like you're a slave to the seasons, with your symptoms threatening to spoil the warm summer months. It can also leave you feeling like a prisoner in your house during the winter months, where dust has built up but it's too cold to spend time outside. It's important that you speak to your doctor to allow you to obtain treatment before your symptoms worsen. For those who find they have symptoms year-round, you will likely need to make some consistent lifestyle adjustments to prevent hay fever symptoms. It's also important to seek treatment so that you don't develop complications from progressively worsening allergies. With the right preventative plan and medications, you can enjoy every season during the year without suffering from hay fever.